Gretchen Albrecht CNZM is one of our most prominent painters. In a significant new book published by Massey University Press this month, art historian Luke Smythe surveys her career and assesses her work and practice, confirming her status as a pioneer of abstraction in this country. 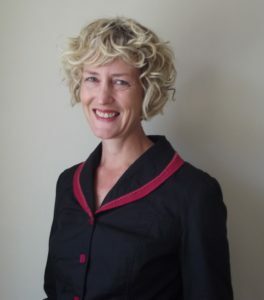 Smythe, who teaches art history at Monash University in Melbourne, has had a long engagement with Gretchen Albrecht, putting him in a unique position to appraise her career. A forerunner of the women’s art movement, Albrecht’s work of the 1960s and 1970s anticipated key aspects of feminist art practice. Bold, intellectual and profound, her work is steeped in art history and draws freely from a range of sources Her drive to push her work in new directions has been evident throughout her career. Smythe’s analysis of Albrecht’s work reveals an early-career artist juggling the demands of her practice with being a solo mother. Determined, hard-working and occasionally lucky, Albrecht eventually established herself professionally, securing her position as one of New Zealand’s leading artists. Her paintings now feature in many important collections both in New Zealand and overseas. Gretchen Albrecht: Between gesture and geometry is a sumptuous and elegantly designed hardback, incorporating more than 250 images — from the beginning of Albrecht’s career in the late 1960s to brand new work. With a preface by art curator Mary Kisler, this magnificent book both interrogates Albrecht’s work and celebrates her accomplishments. ABOUT THE AUTHOR: Dr Luke Smythe is a lecturer in art history and theory in the Faculty of Art, Design and Architecture at Monash University, Melbourne, Australia. He has previously taught art history at the University of Otago and the Wesleyan University. From 2013–2014, he worked as a Curatorial Fellow in Postwar Art at the Pinakothek der Moderne in Munich. His articles and essays have appeared in many journals and catalogues, including October, Modernism/modernity, Art Journal (US), and Oxford Art Journal. He has worked on exhibitions at a number of museums and galleries, including the Chinati Foundation, Yale University Art Gallery and the Pinakothek der Moderne. His work has been supported by the DAAD, the Fulbright Foundation, the Yale Centre for British Art, the Bayerisches Staatsministerium für Wissenschaft, Forschung und Kunst, and Creative New Zealand.